Lieutenant Lionel Chase was awarded an Air Medal for meritorious achievement in flight, four oak leaf clusters signifying additional awards, and a Silver Star for gallantry in action against an enemy. 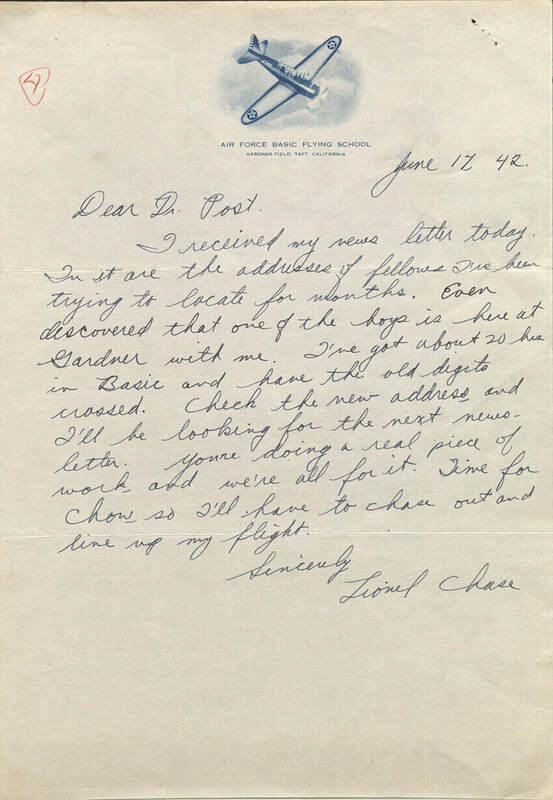 This letter was written while he was training to become a pilot. Naval Institute Press, April 15, 2018 publication No Forgotten Fronts is available wherever books are sold.